Let’s face it–food is expensive. The average family spends just over 10% of their household income buying groceries–over $6,000 a year–and even while average wages have gone down, the price of food keeps going up. When you are just trying to feed your family, that is a pretty scary prospect. That said, as more and more people are beginning to realize, coupons can be a great way to save money on food. If you’ve ever watched TLC’s Extreme Couponing, you probably already know that sometimes those savings can be quite dramatic. The problem is that those dramatic savings often come from seasoned coupon users who have spent countless hours clipping & sorting coupons and searching for the very best deals. Quite frankly, who has time for that? A few weeks ago I was asked by the nice people at WINK News to share some tips for saving on groceries. They tagged along as I prepared for one of my own shopping trips, and then as I shopped with Kristen, a single mom of 4 who had never used coupons before and was looking for some practical ways to cut her food budget in half. For Kristen and probably every other average mom (or dad) who is just trying to save some money on groceries, the idea of all that time and energy on a single shopping trip was not only overwhelming, it was unrealistic. However, as I explained to Kristen, it IS possible to cut your grocery bill in half without spending all your time clipping coupons. In fact, even if you never clip a single coupon, you can still save significant money on your grocery bill just by changing the way that you shop. 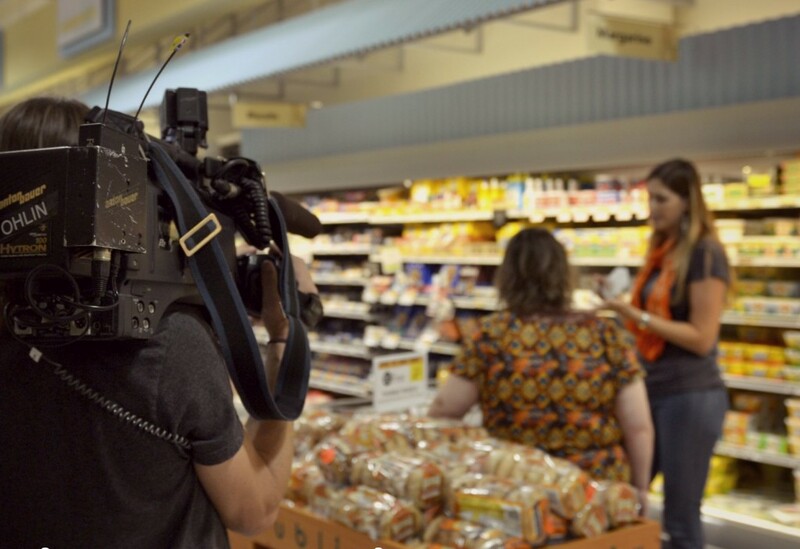 I’m going to let you in on a little secret that the producers of TLC’s Extreme Couponing (and every food company and grocery store chain out there) don’t really want you to know: Extreme grocery savings do NOT, for the most part, come from the coupons. The bulk of your savings will come from the store sales. The better the promotion, the bigger the savings, so the FIRST step in saving money on your grocery bill is to SHOP THE SALES. Always, always, always buy food when it is on sale or at its rock bottom price. And by this I mean really on sale, as in 30-50% off the regular price, not one of those “Surprising Low Price” items. (The surprise is that it’s not really on sale!) Compare the store sale ads in your area to find out which stores have the best sale prices, and keep an ongoing price list so that you KNOW when something is a good price. This does NOT mean that you should buy food just because it is on sale, but instead be on the lookout for sale prices on the food your family normally buys, whether it be all whole foods, organic, or gluten free. Almost everything goes on sale eventually. Don’t assume you know which store has the best deals until you’ve actually checked–you may be surprised at what you find. Here in Florida, for example, many people assume Publix is the “expensive” store, but when you compare sale ads you will find that Publix consistently has the best sales week after week. Many people also automatically assume that Walmart has the best prices, but most sale prices at a traditional grocery store will beat Walmart’s “everyday low price.” While it has not yet come to my area, I have also heard amazing things about Aldi, so if you are lucky enough to have one in your area, definitely take the time to check it out and compare prices. Because in the end, it is all about the price you pay. Thus, your goal from now on is to only EVER buy an item when it is at its lowest price. Period. In order to only ever buy an item at its lowest price, you must buy enough of it while it is on sale to last until it goes on sale again. This is key. Most items go on sale every 6-8 weeks, which means you need to buy enough to last your family that long. If you buy only a weeks worth, you will be forced to pay more the next time you need it because you didn’t buy enough. Let me make it more clear with an example. Say your family eats 2 boxes of Honey Nut Cheerios every week. The regular price for Honey Nut Cheerios is $4.50 a box, but when you go to the store this week, you see it is on sale for only $1.99 a box–more than 50% off the regular price! Instead of buying only 2 boxes like you normally would for your weekly shopping trip, you buy 12 boxes–enough to last your family for the next 6 weeks at less than half the price you would normally pay. At first it may seem counterintuitive to be buying more than you normally would instead of less. However, because you are shopping the sales each week, you will be buying a larger quantity of a smaller variety of items, which means your overall grocery bill will still go down. The goal is to build up your own mini-grocery store in your pantry which you can then use to plan your family’s meals. Remember that a well-varied stockpile does NOT have to take up a whole room of your house, and you do NOT need to accumulate a whole year’s worth of food. Sale cycles generally run about 6-8 weeks, which means your stockpile should contain about 6-8 weeks worth of a nice variety of food. It also means that it will take about 6-8 weeks before you’ve built up a nice varied stockpile and will start to see the most dramatic savings in your grocery bill. Furthermore, stockpiling does not mean your family has to only eat a diet of processed food. There are plenty of healthy options for stockpiling, including beans, rice, whole grain pastas, whole grain cereals, frozen vegetables, cheese & other dairy products, canned tomatoes, & more. Going vegetarian just a couple times a week could save you as much as $1,000 a year. Meat costs usually account for a significant portion of people’s grocery bills, so cutting out even a little will make a big difference over time. One of the ways my own family has kept our grocery bill to around $200-300 a month is by eating very little meat and honestly I am shocked at the prices whenever I do buy meat! I have personally been a vegetarian for almost twenty years, which makes it a little easier for me to come up with creative meat-free meals. However, since the rest of my family is NOT vegetarian, I do make an effort to cook meatless meals that even my meat-loving husband and kids can enjoy. I realize that not everyone wants to become a vegetarian, so when you do buy your chicken, beef, or pork, remember to stick to the principles above–buy only what is on sale, and stock up if it is a great deal. Be sure to also check out these ideas for more great ways to save on meat. If you normally wing it when it comes to meal planning, running to the store several times a week for last-minute dinner items, this step won’t be as painful as you might think. Instead of running to the store for your dinner supplies you’ll be able to run to your stockpile–a ready-made grocery store right in your own home. You may even find that maintaining a nice, varied stockpile by shopping the sales once a week saves you a whole lot of time, in addition to saving you from the expensive impulse and last-minute buys. For those of you who normally plan your meals then make your shopping list based on that plan, this adjustment may be a little harder. However, you can still make it work if you get into the habit of planning your meals around what’s on sale and around what items you already have on hand in your stockpile. By minimizing the number of non-sale items you need to buy each week you will find that you can plan your meals in advance and still cut your grocery bill in half. One great meal-planning resource that I have been really impressed with E-Meals. For as little as $5 a month you can receive a customized weekly meal plan based on your own store’s weekly sale ad. The simple recipes are delicious and family friendly, and although the service isn’t free, it does take a lot of the stress out of trying to plan meals around what’s on sale. They even have a great new app that allows you to get your shopping list, meal plan, & recipes right on your phone or tablet. You can also try it for FREE for two weeks! It is not by accident that using coupons is the last item on this list and not the first. Coupons can and do save you a ton of money on your grocery bill, but only if you follow these other steps first. When and if you make these changes in the way you shop–getting into the habit of shopping for only what’s on sale, buying enough to last your family 6-8 weeks, eating less meat, and planning your meals around your stockpile and what’s on sale–you will see a dramatic drop in your grocery bill, even without clipping a single coupon. When you begin to match coupons to the things that are already on sale you will see savings that are even more dramatic–50 to 60% off your grocery bill or more! Doing this consistently, week after week, you can literally cut your grocery bill in half. Learn How to Extreme Coupon in just 8 weeks! Simply opt-in below to have the Beginner’s Guide to Coupons Ebook sent straight to your inbox! 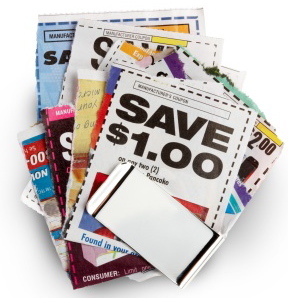 Learning to match coupons to store sales is not nearly as confusing or intimidating as it might sound. Two years ago I wrote a very easy-to-follow 8 week series called The Beginner’s Guide to Coupons that has since taught thousands of people how to do it, from the very first step of just getting started to making your first shopping list to building a stockpile. It breaks down the whole process into manageable “baby steps,” complete with assignments to get you going, and it is completely free. Another great option for those of you who learn by listening, not by reading, is Grocery University. 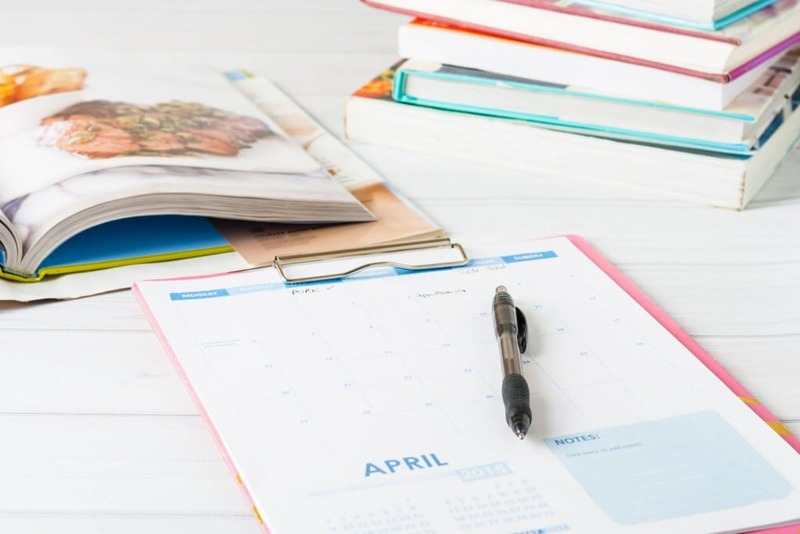 This incredibly comprehensive coupon course includes 2 hours of downloadable audio files that walk you step by step through the process of saving money with coupons. The course also includes a 40 page workbook and a bonus rock bottom price database. One of the most common complaints I hear about coupons is that they are all for unhealthy processed food. While this is to some degree true, there ARE coupons available for healthier food options too. 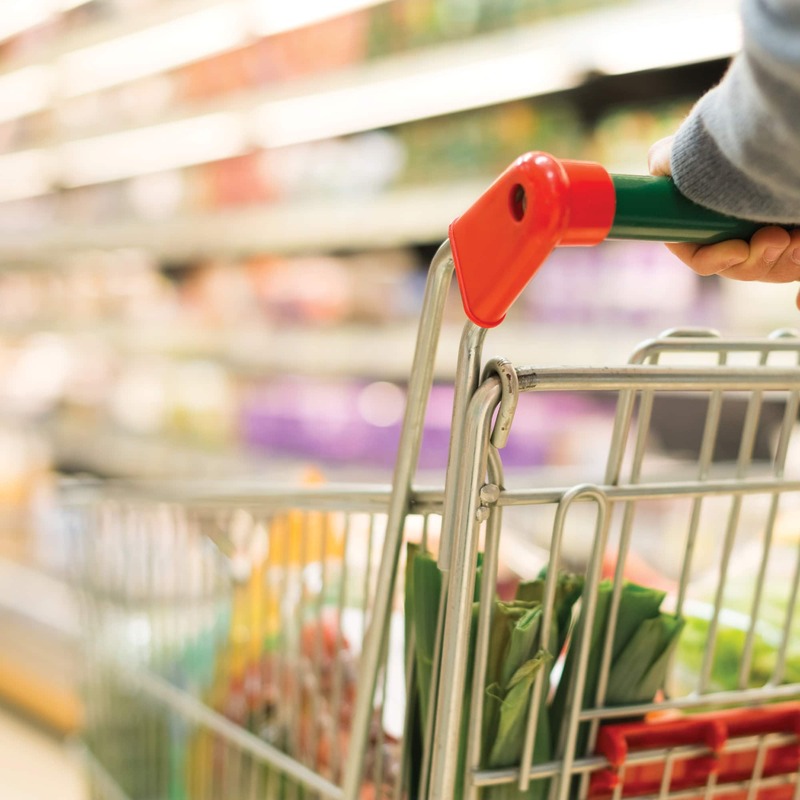 There are almost always coupons available for things like yogurt, cheese, soy or almond milk, frozen vegetables, oatmeal, coffee & tea, gluten-free foods, cereal, and basic pantry staples such as pasta, canned tomatoes, and rice. There are also plenty of coupons available for non-food items such as shampoo, toilet paper, paper towels, cleaning supplies, and over-the-counter medicine. The important thing to remember is that coupons come last, not first. Don’t buy something just because you have a coupon–manufacturer’s count on that! Wait for the sale, then use the coupon. Changing old patterns and shopping habits is never easy, but with these simple changes you really can cut your grocery bill in half. Just think of what you could do with an extra $75 a week! Meal planning has helped us a lot! I started using coupons after I found your YouTube videos & your beginner coupon guide. It helped me SOOOOO much! You are so good at explaining it in a way that makes sense. I always thought it was the coupons but now I see that it is so much more than that! I found Ruth the same way, a little over a year ago. I have reached a point in lack of time right now that I check the coupon previews and don’t even buy the paper unless it has several coupons that I’m sure I’ll use. Following the sales cycles and planning meals ahead according to the sales flyers are what really save me money. The coupons are like the icing – fun, but not the base. I just wanted to say I actually was an extreme couponer a couple of years ago. But I have cut back dramatically because after Extreme Coupon show came it the stores and the coupons have change their tactics so you can’t get anything “free” anymore. By biggest and proud hall was $748.61 and I had only paid $7.68 just with sales tax… Now on the show it shows the sales like that and a lot of them actually donate more then half of their haul. But anyways, watch the coupons because now they are expiring before the em goes on a real “sale”. Just a heads up! Now I still can walk out of a store from a $300 with just paying $150 with coupons and sales.. But not like I use too. But, remember walmart also price matches so if your at walmart shop there they will price match the items. Also, remember the dollar tree has expanded their items too which then you just pay the tax. As well as if you have a family dollar General. Hope it helps! Good luck! Walmart doesn’t price match any more. I never watched Extreme Couponing before, but now that it is on Netflix I have watched a few episodes. It is intriguing to think that people can really save that much money, but I was turned off by their huge storerooms of food. It seemed like they were buying stuff just to have it, not because they needed it. To be honest, I never really thought about it being a different way of shopping–I just thought the people on that show were crazy! When you say it like this, it makes so much sense. Thanks for this article, I am definitely sharing it! I thought the same thing and then I heard a fairly common theme from the people on the show – when there has been a job loss or financial difficulty, they know they can save money immediately by using their stockpile of food. It’s not a bad idea. That said, anyone who does use coupons can tell you the stores on those shows are making concessions for the show. There is no store in my area that will allow you to use dozens (hundreds) of like coupons in one transaction. The most generous will allow 5 per transaction, the least generous will allow 2 (although I have had a manager bypass that for me at the checkout). Most stores have purchasing limits on sale items. I have found the majority of my savings in shopping sales and stockpiling. Like the article says – coupons are just icing on the cake. They may push my savings from 50% to 55% or 60%, but the biggest savings are the sales items. They cant. Thats the thing. One person on that show had 10 coupons for free bags of Doritos. Those coupons were fake. Just google search the show and you will find countless articles about the fraud being committed. Coupons can save you a lot. I used to carry a giant coupon binder with me everywhere. But the stuff you see on the show is fake. A tip to get healthier food cheaper or free with coupons is overage. Many times a coupon will come out and with a sale you end up with more off the item than the item costs. Some stores will give cash back (walmart does, military commissary stores do) and others will allow the overage to cover other things in the cart but wont give cash back. I love these stores. For example, a few years ago a coupon was released for $2 off Sundown brand vitamins. At the commissary where I lived there were a few varieties that cost $1.19 each. So I bought as many as I could (the coupon had no limits) And got $0.81 for every bottle applied to my other purchases. I used the extra savings to buy fruit and vegetables, meat, diapers for my child, etc. There was another time I found 2 packs of toothbrushes on clearance for $0.50 each. I had a coupon for $2 off a multipack of that brand. Cha ching! $1.50 overage for each! I had 20 of those coupons so I made $30 on that plus 20 packs of toothbrushes! The key is to get your coupons and keep them all until you see a deal or they expire. I have tried to use coupons a few times but never seemed to save much. Now I finally understand why! I shop the sales, use a few coupons – I only clip it if it’s something I usually already buy! I also save by cooking in bulk. I can buy higher quality meat, for lower cost if I but ten pounds at a time from my local butcher. Freezer meals are awesome, and have saved us LOTS because we don’t have to eat out when we don’t feel like cooking. Thanks for the great article Ruth! Thank you for sharing these great tips. I really need to shop the sales. Living on one income is becoming much more difficult because of the high cost of everything. I am a home schoolers, too and as you know anything can become a lesson, especially these all important life lessons. my teenage daughter already shops with coupons and looks through sales. Hi! I love that you said you have to find the balance that works for you. We have found that it works best to stick to the 2 stores that have the best prices on our basics overall. We will hit another store if there is something we use regularly on sale- really on sale. As far as stockpile, it’s been difficult in our home. I have 3 kids, 2 are teenage boys that have a lot of friends coming by. Anything that is in the cabinet is at risk of being eaten as soon as it gets in the house. Here is a suggestion… “this is not a self serve kitchen!” You will be fed, you will never “starve”. A lock on the pantry works wonders, then when you need something, look at the inventory of what you have and *go shopping* in your own pantry 🙂 perfect. Also I don’t suggest spending as little as possible, because I noticed that it causes people to eat a little more unhealthy. What I like to do is when I go to the grocery store I usually skip certain isles. I go in the dairy section, but not the frozen section. I buy a LOT of produce and freeze it…I buy the produce for instance that is on sale because the apples are a little bruised or the banannas are too ripe, I cut them and freeze them and then later make banana bread or apple crisp/pie. Today I found 3 apples for 75 cents in a package nicely wrapped by the produce department. perfect. I also buy cheese and butter and ice cream when it is on sale and freeze it all. most of what I buy is store brand to save money also, but that is changing since I am going to start shopping sales more. I am so glad I found you. After watching TLC’s extreme couponing I wanted to learn how to coupon. I just don’t get it. But After reading your blog I’m sure I can start to save money. I lost my job and my daughter is in transition from graduating college and changing jobs. I am also starting college at age 51. I really need to get a handle on our food budget. To thanks again for caring enough to share. One thing I did that helped was to keep track for a month of what I threw out. Yikes! It helped me realize a few things. 1. I needed to cook half-batches of things – I wasn’t eating leftovers. 2. I needed to be more cognizant of the amount of produce I purchased and 3. I needed to better organize my refrigerator so that things weren’t getting lost in the back. One of the best soups I ever ate was from a neighbor who put all leftovers in a container in the freezer. Anything mashed potatoes veg. beans rice meat you name it. She would dump it in a crock pot and add whatever she decided it would need. I had never even heard of the spice summer savory but that was the spice she used that day. I use her idea but will never forget that first taste of her soup. My mom always made left over soup growing up too. Her budget for food was $50 a week on a one income salary, but a family of four. Impossible these days I’m sure. I had never heard or thought to put them in a container to freeze before, then dump into the soup. I love that idea. If soup doesn’t happen, not all is a waste. Thank you! …My husbands lunch is always left overs, & I’ve started sending my 92yr old grandpa left overs from time to time also when a meal is worthy enough. Now i can also not feel guilty about any other waste. These are really great tips! Although it would be hard for me to get started on this. Our grocery budget is a little strict, so in order to stockpile some stuff, we would have to go without other things. I already do it in baby steps though – I don’t buy 6-8 weeks worth of sale stuff, but I do buy at least one more than I normally would. This is fine if you can go shopping once a week and have the extra money to stockpile on just a few items each time. I don’t. I live in the country about twenty miles from the nearest grocery store so gas alone would break me! I garden and put my food up by canning, drying, and freezing. This is our big savings. I also cook completely from scratch. Much better than convenience foods made by some factory. Just the thought of what “might” be in their scares the hell out of me! Eggs…I have my own chickens for those and the taste difference is amazing as well as healthier. I think your ideas are fine if you have a large budget for food and can afford to stock up like that, but not everyone can do this. Deborah, your country life sounds amazing! My husband and I dream of buying land far out in the country someday, and when or if we ever do, we will definitely raise our own chickens and make a lot more of our food from scratch. It sound like your money-saving tips are working great for your family, and I congratulate you on that! I have found that for us “city-dwellers” these strategies I shared do work really well. Surprisingly, stocking up on sale items actually ends up costing LESS than simply buying what is on your list regardless of what is on sale. In fact when I shopped with Kristen she was blown away by how much more she was able to buy for much LESS than she normally spent. We do the same thing…grow our own food and then can, freeze and dehydrate it. We shop the same too. Buy what is on sale in terms of meat and meal plan around that and what I have in the pantry. We eat leftovers or create “leftovers makeovers.” We cook everything from scratch including bread and hamburger/hot dog buns and sub rolls. Processed foods taste terrible to us now. I use coupons but mostly on personal hygiene products. We make our own laundry soap and fabric softener. It is a busy lifestyle but a rewarding one and I wouldn’t trade it for anything in this world. We live in very rural Vermont and do all of our shopping in New Hampshire at BJ’s. I find buying in bulk and making most items from scratch to be a huge savings for us. Bj’s offers coupons and will accept manufactures coupons, but they don’t offer sales. Sometimes meat is marked down because it’s close to it’s sell date. Do you have any tips for a bulk once a month shoppers like me? Monthly I spend about $600. for a family of 5, plus weekly $25. for milk, bread, and bananas. I would also see if bjs will give you a case discount on meat. Like if you buy 50lb they give you so much off. Sam’s has been known to do this as does my local store. Here in Australia we don’t have a coupon system, we rely on specials only. I also agree that cooking from scratch saves a lot of money and I get more satisfaction from it as well. After rent and utilities are paid we have 400 a month for groceries, fuel, insurances, entertainment and clothing, So yes we all need to pinch our pennies. i completely understand that part of cutting meat. as a hispanic we always incorporate beans of all kinds to make-up the “meat” in recipes when we couldn’t afford it. (my mom grew up very poor with 12 brothers and sisters) also just cutting back the meat instead of cutting it completely out is another way to save some money, if a recipe calls for 1lb of beef cut it to 1/2 lb and include a bean or other protein. (beans in bulk last a long time and are much cheaper) also soups that are primarily veggies help and then the beef/chicken is just more of a flavor enhancer. Whoa. Whoa. Whoa. Thank you so much. This was easy to understand and totally makes sense. I will definitely be following these steps and checking out the beginner coupon clipping series. I can’t thank you enough! also a great way to cut down cost is to just cut out the “convieniece stuff. people with kids, if you bag lunch don’t buy pre-packed items, i/e buy that family size bag of godfish and portion out half-cups in ziplock bags for pennies a bag (this is great when it’s your week to bring snacks to class). also buy in season fruits and veggies, (out of season markup on berries is a real $ drainer) and shop farmer’s markets there are always great deals to be made when dealing with people one on one. buy bock cheese when it is on sale and shred it yourself, again portion out in ziplock bags. this one is a surprizing $ saver. buying bulk and doing portion control is a great way to save tons on a whole bunch of things. I have done a lot of research on buying chips in individual bags versus the family size and I always come out cheaper on the individual. The big bags always have waste at the bottom, and also the amounts are more monitored with the individual. I am talking about when you have teenagers. I do sales and coupons, but with a family of 6 we still spend $600+ a month on grocery’s. We do a lot of social which adds to the cost. This is a great site! Thanks for all the good ideas!! I’m surprised you haven’t mentioned swinging by your grocer’s clearance section. The varieties are endless, but you can get good deals from meat to mascara…and use coupons on top of that. Maybe not for beginners because you can get carried away and be tempted to purchase things you don’t really need but it’s helped me. Thanks for your tips! These tips only work if you don’t have a budget that you have to stick to. I am a single mother with a very strict budget for groceries; I can’t afford to “stockpile” something just because it’s on sale. Coupons don’t really work because I rarely find coupons for things I actually want and need. Does any one have any useful tips for making a strict budget go further? Hi Joelle, I find that bulk stores where you don’t have to buy huge sizes of things are really great for budgeting (like the Bulk Barn), you can get staples like beans, rice, spices, nuts & even ‘treats’, and you only need to buy the exact amount you want/need. Especially the herbs and spices, they are a fraction of the grocery store prices. After that, make your meal plan based on the best food you can get for the best price and don’t get sucked in to buying things you wouldn’t buy just because they are on sale (ie, if you don’t eat Pop Tarts, don’t buy them just because they are a dollar). One thing I did several yrs ago was to think like WIC. What foods do they give you on that program? Start listing them on a paper. Those are your cheap ways to get that particular nutrient. You could get lots of milk or a little cheese…milk is the cheaper way to get your protein and calcium at cost per serving (1oz cheese=1cup milk for 100% of protein and 66% of calcium). They gave out beans and tunafish, not meat. They even pay for fresh produce now…but not potatoes as there’s not alot of nutrient value in those (and becuz we all eat tons of those already lol). You can get hot cereals on WIC too but I don’t recommend any of the cold cereals. Only get the unsweetened hot cereals too. You can buy 100% wholegrain bread only; don’t waste your precious food dollars on refined grains. I think the juice allowance is bad but at least they make you get 100% juice, no sugar added juices. I would recommend whole fruits over juice. WAY too easy to drink juices, juices, juices. Hard to eat the amount of oranges you would drink in just 2 glasses of oj. I think it would be something like 8 oranges (for 2 NORMAL glasses) and you get no fiber so you’re not filled even. Besides the amount of sugar you’re eating, “natural” or not. Juice is nature’s pop at our house, very rare and limited diluted amounts. So that was a good start for me to think “on the cheap”. It is hard to get started for sure. You could save maybe by meal planing if you don’t already. Cook meals like..home made soup, cook dry beans more often. Hamburger stew is a real money saver. I am also a single mom of 4 kids who eat like grown-ups and it is possible to stockpile and save. Have a soup night. Cut just $5 and buy dried beans and rice to start. Then a little bit more the next week. It’s harder to see the ways to cut when you’re already bare bones but you can do it! Thanks for the tips, except I don’t agree with the emphasis on eating whatever packaged foods you can get on sale. The way I see it, I can pay the farmer or I can pay the hospital, so I’m not going to buy Cheerios, regardless of how cheap they make them. When meats and vegetables I can freeze (or are already frozen) go on sale, I totally stock up, but I find that really only the packaged foods have huge margins that can be cut in half, if you’re buying whole foods, there isn’t a lot of wiggle room. I do all of these things to reduce our family’s food bill but I still do not see how you can eat a balanced healthy diet on $200/month. Stocking up on packaged and canned foods is only going to cost you more on health care bills later. We are a family of four, vegetarian/vegan, do not buy packaged foods, and grow as much of our own food as we can. We buy in bulk, stock pile on sales, use coupons, and u-pick from local farms but our food bill (including toiletries) is around $1000/month. Do you have low cost recipes or a meal plan that we could see so I can see where I’m going wrong? Many of our friends are wondering why their food bills are so high as well so we’re eager to hear more of your secrets! I have no relationship to this blog. This is my first time reading. But I just did a little math on some of her suggested vegetarian recipes and if that’s what she’s cooking, you can’t get the materials for that for $200 a month, not in my area, anyway. My family of 2 spends about $320 a month on groceries and we do all the things she suggests here except stock up on meat (we’re vegetarian) or buy processed foods like cereals. Also we eat about 70% organic, so maybe that inflates our budget. Fresh veggies and fruit are expensive but important for your health. Rather than obsessing about each penny spent on food I would save MUCH more money by going carless or at least carpayment-less, living in a smaller house, buying 2nd hand everything from toys to books to clothes. Just my 2 cents. Wonderful article not much new information for me but still very possible. Yes coupons help some but sale ads are the way to go. As a registered nurse vegetarian and mother of 6 I want my family to eat healthy at any cost. It was when the cost was 400$ a week that I reevaluated our budget. With my aid of my stockpile I spend about 125-130$ a week tops at local grocery stores. I then spend $50-60 a week at Aldis on milk and produce which is about 4 bunches of bananas strawberries watermelon, bag of apples, three things of broccoli, cauliflower, carrots, zucchini, and potatoes. A gallon of 2% milk 1.59$ which is usually buy 5 a week versus our local gas station at $4.99 a gallon. It is possible to save now I work part-time two nights a week because we are saving on our groceries which has also eliminated our childcare bill. Be open minded and try if you really do want to save money. I shop at Publix, stocking up on BOGO’s with coupons, we don’t eat much processed food, just some items. I’ve changed my laundry detergent to what’s on sale with coupons also. Also I shop at Aldi and find many great deals on the “other brands” and they also will at times have regular brands. Produce selection at Aldi is very fresh and a lot cheaper, I do try to support the local fruit stands when I can also. I’m thinking of finding a co op in my area for food savings also. Hi, I came here via Pinterest and wanted to drop by to say these are great tips! I follow all of these except one: meal plan – I never end up cooking what I plan, because most of my food depends on my mood. And because of that I used to buy too many vegetables, in case I felt like cooking any of those. Most of the times half of the vegetables would rot, having me throw ’em away. That is one thing I have stopped – now I buy limited produce and variety each week, and try to get creative with the less quantities and choice (I was born a vegetarian). I have learned how to store the groceries well and keeping track of expiry dates, so now I shop on alternative weekends only. And my grocery bill per month is in fact less than $150 per month I’m sure! I have the ultimate EASY hypoallergenic homemade laundry detergent. If I wasn’t needing to keep things as pure as possible, I’d just buy Sun brand or whatever else was super cheap. They work as well as Tide, etc. I use stain remover regardless. The small amount I need doesn’t seem to bother sensitive skin. Get a box of washing soda, borax and baking soda (walmart has big boxes if baking soda right in the laundry aisle, but i buy mine at aldis as u go there anyway, cheaper). Either mix the washing soda & borax together in a container, cup for cup or measure it out each time you do wash. Add baking soda to each load also, or mix half a cup baking soda per cup of washing soda/borax. IE if you mix up 4 cups washing soda and 4 cups borax and want to add in the baking soda, mix in 2cups of it. NO PREP, no “goo”, no 18 steps and using the kitchen appliances. I also use citric acid for brights/whites. I buy it on amazon. I do only about 1 load a week of brights so the bags lasting me FOREVER. You could use lemonade koolaid too if it’s cheaper. I use 1/2T citric acid per large load. Also, I add 1T of soap per load…I use a cheapo detergent right now but for super sensitive skin, use 1T Dr. Bronner’s. I can barely afford to use that as bath soap (and I dilute it in half already) so I don’t use it currently as laundry soap. Most recipes I’ve seen do not call for this soap addition. It makes sense to me tho so I add it in. I’ve used this for months now; my clothes are definitely all rinsed out of detergent from when I was using actual detergent. They still get clean so it’s not the residue cleaning them as some scoffers claim. Eat less meat, and eat more processed garbage aka pasta, grains, and rice . Yep saving money at the expense often family and my own health. Sounds like a plan to me ! Ugh — SMH ! Actually there are plenty of cost effective and very healthy prepackaged foods. Quinoa as a rice alternative is high in fibre and protein, cooks exactly like rice. Per serving. I am a university student; I can either have my text books or fresh produce and good meat. Over and over I have seen our local stores refuse to honor coupons if the item is already on sale. You can either get the coupon price or the sale price but you may NOT put them together on the same item. I’ve seen your advice many times before and it always baffles me. Who actually allows this? I beg to differ. Major grocery store chains will always allow you to use a coupon on a sale item. Most will allow you to stack a store coupon with a manufacturer coupon on top! This is not allowed in California. Even when going to the Major grocery stores they will not allow you to use a coupon on a sale item. I hear other states you can. I’m in California and have used coupons on sale items for years. I agree, there is no way you can follow this and maintain a healthy lifestyle. I don’t see anywhere fresh fruits and vegetables. Stockpile?? You can’t do that with produce. I barely have anything in my pantry because I don’t use the “canned”, “packaged” “mystery” foods. How about organic tips?? $200 a month for groceries? My goodness I do well over $200 per week. Guess I’ll need to look elsewhere for tips. Totally agree with both comments here. We too eat non-gmo and organic. We also avoid all soy like the plague… which immediately rules out like 95% of anything processed. (You’d be surprised where they slip that crap into your food!) Does anyone have tips on saving money while avoiding processed garbage and GMO’s? Agreed. There is absolutely no way you can save mi eh like this if you eat healthy. Agreed. There is absolutely no way you can save money like this if you eat healthy. Grass fed beef, organic fruits and vegetables barely go on sale and when you eat meals made from scratch you want the freshest produce. Raw organic nuts and seeds are also priced much higher and they do not go on sale. When I worked at Albertson’s (I conesfs years ago) the cashiers were told if it says manufacture coupon to take it. It just meant that Target or Walmart or whoever just wanted the customer to think they had to go there instead of look for the cheapest price. At that time it was corporate that told me that, and that we want them to shop here not there so take it. wow you orthorexic people are insufferable. it’s ok to incorporate “some” processed foods into your diet, and I’m sure 1/2 the foods you think are bad for you aren’t really. All of the high horse comments about how if you eat like this you’ll have “hospital bills” are soooo annoying. Eyes on your own plate. P.S There is no evidence that GMO foods are worse for your health. Weston Price and Joel Salatan, read them. They are not orthorexic, nor are those who follow their ideas on real food. This is crazy. I spend an astronomical amount to eat mostly organic and grass fed meats. I spend more on food than my mortgage. The last time I could spend $200 a month on food was when I was 19 and ignorant on food’s importance on health. Read Weston Price. Loved the article!!! Speaking of Publix, have you figured out how often they do BOGO? I feel like I can really stock up during their buy one get one sales but I never when to expect them! Hi all, here every person is sharing such experience, so it’s good to read this blog, and I used to go to see this webpage all the time. I am willing to spend some time searching for coupons. One of my issues with coupon sites is everything they make you download plus they do too many add-ons if you ar enot careful. I do not want to clutter up my computer. Any coupon sites that are easy to get coupons. Hi! I found your blog via Pinterest, and I found this post super helpfull. We’re a little family of two (plus Cuba, our dog, but he has his own food all set up already haha), and everything you say is the pure truth regarding saving money on food. We live in Salvador de Bahia, Brazil, and there are no cupons over here, but everything else you mention, applies: Leandro doesn’t eat meat but sparefishes, so our freezer is constantly full of fish, lobster, octopus, etc. I do eat meat and chicken, but never buy meat (I’m lazy when it comes to cook meat and cleaning after, on top of the price) and just some half chicken monthly. We stock as you say, and, believe me, it makes the whole difference. We do one montlhy big grocery shopping, for around R$200,00 (pretty much some… $100,00 dolars, maybe less), and it lasts the whole month. And it’s not just groceries, it’s everything: cleaning products, toiletries, etc. Sometimes lasts even more than that, but it doesn’t matter: from the 1rst to the 5th day of every month, we do our montlhy grocery shopping religiously. And to be honest, we haven’t even paid R$200,00 in quite sometime. That was the first big one we did, and then our grocery began to stock, so lately it’s been around R$150,00 or so. We do some shopping during the month, of course, like milk, eggs, cheese, but it tops R$50,00 at the very (VERY) most, plus tons of fruit and veggies weekly (there’s this farmers market we love), and thats may be, R$20,00, R$30,00 if we go fruit crazy, and most of the times one shopping lasts a week and a half, so by the week we buy just R$10,00 or R$15,00. I don’t know where your traffic comes from, but I can certify that your methods applies in economies beyond the American one. Stocking is THE way to saving. easy method you can remove me from that service? Thank you! I need these posts. I’m horrible at meal planning and saving money when it comes to the grocery store. My poor husband has stopped at our local grocery store after work every single day this week so we can definitely benefit from these tips. Also check out e-coupons if you store has them. It automatically loads the coupon(s) to your store savings card. No paper to keep up with and the savings automatically ring up at the register. Also, one of my local grocery stores also puts $0.05 off towards a tank of gas every $50. That’s not including some of their “bonus” buys which will add extra off towards gas. Last week they had a great sale. BOGO chicken and pork. My grand total before savings was $139.81. I paid $93.17. My freezer is stuffed and I saved $0.18 off per gallon of gas (up to 20 gallons)! This was without clipping any coupons, which I must say if I took the time to clip, I probably could have saved a bit more. Coupons are great to use if you can get ones of products you actually use. They use to be great with doubling if they were under $1 but many stores in my area have recently cut out the doubling. I used to use them with the sales and get great bargains. But I am not using a lot of processed products anymore and trying to cook from scratch. I also have been buying more organic which is more expensive though sometimes when it is on sale it is a better price then the regular stuff. Have you ever heard of starvation? Or countries, in which people are longing for wages you mentioned in the 1st chapter? There’s a lot more to saving money on groceries than sales and coupons! How about shop local farmers markets or grow your own small vegetable garden? Shop at Aldi and other non-name brand grocery stores, bake your own bread, can your own produce and even garden goods with neighbors? The big secret that the producers of extreme couponing don’t want you to know if that the shoppers cheat. They use expired coupons, they match bar codes to things that aren’t actually on sale and they use more coupons than the store allows. I never saved money on groceries with coupons unless it was a special item because coupons are only good on expensive name brand items. Stop buying name brands and switch to generic and you’ll cut your grocery bill in half! You can buy organic fresh veggies and fruits and stockpile on a tiny budget. I also dont want processed GMO foods, but you can still do this plan. You buy them on sale ( sometimes Safeway has organics cheaper than non-organics) then chop and freeze! It will take a while to get all you need, but start small, say onions are in sale this week, but a bunch, chop and freeze in portion sized baggies. Next week it’s apples and celery, buy a bunch, make chunky applesauce ( to be used in breads, pies, or mixed in yogurt) and chop and freeze the celery for soups. Next week it’s zucchini and bell peppers, same thing, but a bunch, along with your other ” regular shopping ” and stockpiles few things at a time, it will pay off after a couple of months . You can do this with bread, milk, cheese, meat etc. you don’t HAVE to buy gross food, wait unroll what you use is on sale then stock up! Planning works but stockpiling doesn’t when you eat healthy and natural. It’s hard to stockpile veggies/fruits. Do to health issues, I eat only meats, fruits, vegetables, seeds, nuts and drink water or tea and while the meat I can freeze and the nuts and seeds will last, the rest I’d rather have fresh which also keeps some diversity in our meals with different veggies and fruits throughout the year. You CAN save money by NOT buying processed/boxed junk food and eating natural foods instead, you just need some planning. Terrific tips all around. Thanks! It’s great that you mentioned eating less meat too. While not a vegetarian, when I got serious about getting my finances in order, I found that cutting meat made such a big deal. Substitutes like beans, lentils, and tofu, are so much cheaper and maybe more important, they last longer so you can really take advantage of sales. Great article! I have one tip you should add to the “shop sales” section. – Shop at Walmart! They pricematch and do not require you to have the ad! So find all the best sales at all stores, write down the price, and take it to walmart! I like your tips on stockpiling items and sale and meal planning. I’ve recently realized that I spend way too much time shopping each week looking for items that I need. A bit of planning ahead of time can really help. In addition, by mixing that approach in with buying and stockpiling items and sale, and planning meals around sale items, will definitely cut down on costs. A triple whammy! Please realize while your system is great for the person who eats out of cans and boxes the people that eat real food can’t shop this way. Eating organic whole food requires growing it, or finding it. Most companies don’t give many coupons if any at all. I drive to between 6 and 9 markets weekly to find my food in Hawaii. Almost no sales and the food is more expensive anyway due to being organic and in Hawaii. The best way to cut grocery bills is to grow and not support those food corporations. Than EVERYONE’s food bill would go way down. I am a couponer and it is refreshing to see an article that points out other basics of couponing! If you just use coupons, even if they double, isn’t going to really help unless you shop sales. A nice, brief introduction to how it all works. Well done. I have read through almost all of the comments and it’s interesting to see the many responses. I guess you have to take it with a grain of salt, because quite a few people pointed out this wouldn’t work for their lifestyles- and that’s ok – but this isn’t meant to suit every single person, so be respectful. My thoughts are I really enjoyed the article for a different point of view and I’ll ponder it a bit to see what I might be able to incorporate into my lifestyle. Im with several people who mix it up with some gardening, ALDI, bulk bins and stockpiling a bit when I know for sure it’s an amazing price. I sometimes buy a huge pork tenderloin and freeze it into small sections or when chicken breast went on sale $5 for the name brand I bought 3 bags (just 2 of us here). Anyway I enjoyed reading this and seeing how other people live and make it through the comments section. Stay happy & healthy! we are pro bicycle wear supplier and offer high quality subaru cycling clothing at the lowest prices. all cycling wear at http://cyclingwear.x10.mx 100% quality guaranteed and free shipping . I have a gluten free husband. What I have discovered is that using very basic foods, meats, vegetables and fruit along with beans and rice is the easy way to go gluten free on a budget. I don’t think GF processed foods like bread and pasta taste good so we just don’t use them. Stick to a small portion of meat and use natural products to round out the plate. I totally agree with Tip #4- meal planning according to the sales has made a huge difference in our budget. Once you get the hang of it, it’s kind of fun, like a personal challenge to see just how much you can save. (Or that could just be me!) I also like the idea of going meatless a couple of nights per week. That’s been an issue for us, because we live in a small town a ways from a decent store. The local places and Walmart just don’t carry good produce. But we fi-nal-ly got a good co-op in the area, so I’m looking forward to trying this suggestion, too! I really like your approach of sale items and your more realistic stock piling is probably great tips for a lot of people. I am curious, do you have any tips no matter how small the savings, for those of us that have no space at all to stock pile. I barely have enough space to buy 2 jars of tomato sauce let alone 6-7 to get my family through till they go on sale next. I also move every 2-3 years making it difficult to maintain a stockpile. Would you suggest couponing (I usually find very little I buy and try to only clip what I buy normally) as a better alternative for those of us with limited space and budget. Thanks any input will be greatly appreciated. Look for other places to store the food. Under your bed. In two medium sized plastic container boxes stacked one on top of the other next to the sofa. With a piece of fabric thrown over it, it will look like an end table. Put up a new shelf in the kitchen or laundry room. It just takes a little creativity. I have turned a linen closet and a bathroom cupboard into pantry space. 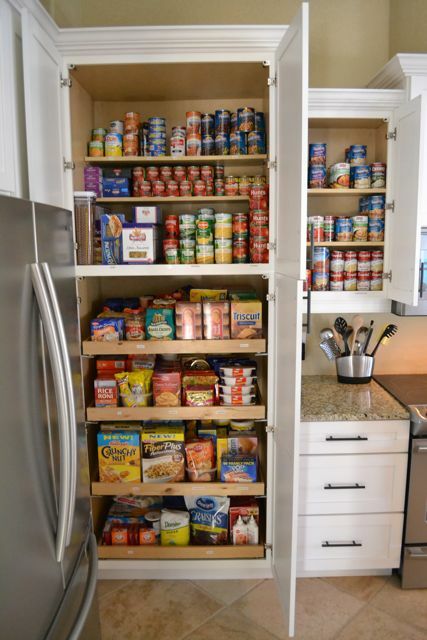 Look for places not traditionally for a pantry. One way to save on fresh produce is to sprout you own; alfalfa, radish, wheat, etc. plus super vitamin rich! There are ways to save on meat as well. Ever heard of Confessions of a Butcher-eat steak on a hamburger budget and save$$$? It’s on Amazon. We get free elk from hunters who get tired of it…plus my hubby works at a grocery store so he brings home amazing deals. Love our garden and freezer. Gotta plant more raspberries for healthy smoothies this next year. Does anyone know any food savings for Maui Hawaii? Yes I chose to live in a expensive state but I need help living on a budget. Plant your own papaya trees. You should get some fruit from them in less than a year. Oh my gosh, so many comments! I didn’t read through them all. Geat tips in your post. I am not a big coupon user as I usually forget about them. I would be interested in giving it another try. But where do you get coupons? The only place I know of is the Sunday paper and we don’t buy the paper. Wow; really, just over 10%? We must not make much, then. We have a pretty average-to-low per-person grocery budget (which is WAY higher than what we were spending even 2 years ago, but the prices have gone crazy…and we’ve gone gluten-free in the meantime which throws a wrench into the works). But we spend closer to 20% of our income on food than 10%. It is just an average so it can vary a lot from family to family. Gluten free definitely adds some extra cost! I already left one comment, but I do have one more thought to add. My husband and I have just been talking about your bulk buying suggestion. Using your example of purchasing 12 boxes of Cheerios at once, as we totally get your point, it is very clear that to start this kind of bulk buying from the beginning you need to already have a chunk of money to get the ball rolling and that means spending WAY more than $200. Reason being I can’t rely on my next grocery trip consisting of only 5 different products. I would run out of food, other than Cheerios, in a week. It seems it would take a year just to get the stock pile of all the different ingredients you’d need to have a complete pantry of ready-to-make foods. Does anyone else see this as being the case? I totally agree. If I am on a fixed income and a very low one at that, I cannot afford to spend what little money I have to start with on an item that is on sale like this. Also, in my area here in California a sale on an item is like fifty cents off!! lol literally it’s ridiculous. The idea is to only buy from the sale items. Plan all your menus from what’s on sale, and there should be enough money left to buy at least a few more sale items. Over time, you can build a stockpile, even if it is just with a few things added on per week. Can you tell me exactly how to get started stockpiling? Do you have to have extra money in the beginning to start this? You mention in your article that it takes 6-8 weeks to have your stockpile. Please explain how to get started or maybe you have this somewhere on your website. I’m a little slow and need the guidance! :-). Do I start Emeals along with stockpiling? Please help! I am trying to get this under control and not go to the store three and four times a week! It wears me out. We are on a tight budget and I need to do something. Thank you so much! I live in Walmart’s backyard (Bentonville, Ark.) and pretty much know that store inside and out after shopping there for over a decade. 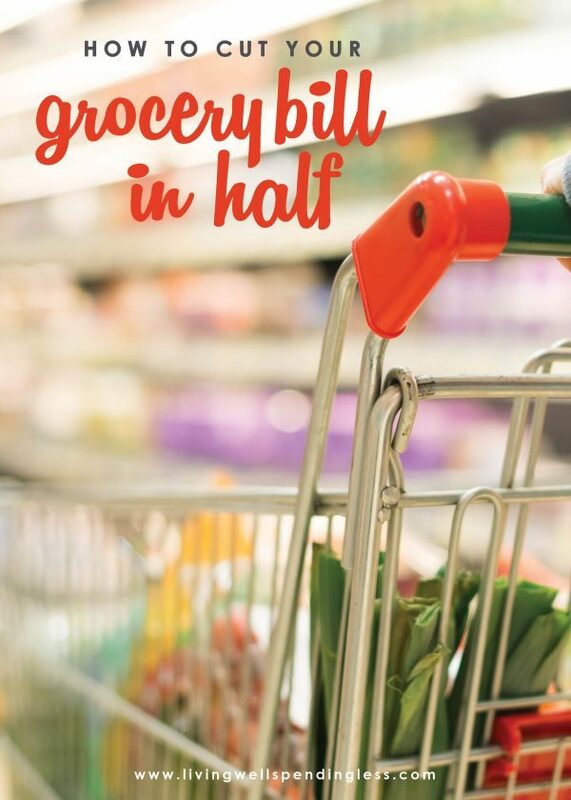 If you really want to save money on your grocery bill you need to consider shopping at a discount grocer like ALDI. No two ways about it. I just became a member, and I am very impressed with the advice you give here. I have never understood the women on television, trying to explain the same thing but in gibberish. Thank You for such simply put well advice. to work on. You have done a formidable job and our entire community will be grateful to you. Yes I’m what some call an “extreme couponer”, only in Canada where it’s a little harder, but similar. We also don’t find fresh produce coupons often but saving money in every other facet of your expenses leaves a little more room for the fruits and vegetables. I also have a blog to help Canadians navigate the fun that is couponing. 🙂 Wouldn’t change a thing! Thanks for these tips. Whenever I go to the grocery store, I end up spending more than I intended. I’ve never collected coupons but we do get them on our local newspapers. Is it true that these “coupons” are just advertised price. Whenever a store has a clearance on packaged items (oatmeal, cereal, protein bars, rice packages) I usually grab a good amount because they aren’t as perishable and I stock them. Whenever there is “want” for oatmeal at home, well we have them. I still have oatmeal at home and I think I would never have to buy some in the near future. And I eat them! Thanks for these tips! I’ll make sure to be a smarter grocery shopper. Good tips! I’ve seen a lot of feedback from folks who think coupons = unhealthy processed etc. I would challenge that. I think the wind is a’changing and about time too. Maybe somebody’s getting the message? 🙂 Now it’s possible that we are just fortunate in our area stores because coupons on fresh produce and vegetables are common – these are store coupons – some print out of the catalina machines by the registers and most are available online. Meijer and Kroger are the stores coming to mind that have these offers on a regular basis. It’s great! Another store that I didn’t realize until recently – had store coupons and accepts manufacturer coupons – is Whole Foods. Who knew? If eating organic, non-processed is the goal – or you have certain dietary restrictions like needing gluten free – it’s nice to save a bit here and there. http://moneysavingmom.com/ regularly posts info on Natural and Organic Deals – listing sources or links for coupons on those types of items. I have also seen mainstream coupons for things like clementines, watermelons, etc. They are few and far between, but if you are watching coupon blogs for your store’s sales that weeks it only takes moments to scan the sections of their list for any deals like that on produce. If you have an Aldi near you – use it. LOVE, love, LOVE Aldi. They run loss leader deals on produce, 5-6 diff types, every week. They also carry organic produce now and have many healthier options than they used to. I stockpile by spending a small amount of each trip’s budget on something I know I’ll use eventually. $5 let’s say. So maybe this week it’s an extra package of lunchmeat that goes in the freezer and a bag of lemons that I zest (freeze that) and juice (freeze that in ice cube trays). In this example I got the lunchmeat for $3 or less using sale + coupon and the lemons were on special at Aldi for $2 for a good size bag. I can get Kraft cheese cheaper with a sale plus coupon than even Aldi prices – but only sometimes. I buy it and freeze it until needed. These deals only come around so often – you take advantage of it when you can. If you are just getting started, it can be hard to stockpile much – but I try to remember the old tale of the tortoise vs. the hare! My best advice – learn, learn, learn! Read as much as you can on sites like this and find others via Pinterest or search engines. If you find a good article like this, read the comments – often times I find the best tips or tricks hidden there! Just because something seems out there don’t rule it out forever. Canning used to intimidate the heck out of me – but water bath canning is pretty simple and low risk if you pay attention and follow instructions. There are many, many, MANY resources for learning how to can properly. And on how to get setup with the equipment/supplies cheaply! Even if gardening and canning isn’t something you want to tackle – using your freezer is the next best option. What about dehydrating? I haven’t done that yet but I am SO looking into it. When fresh mushrooms go on sale I buy them to freeze but love the idea of dehydrating instead. I could go on and on and probably have too much already! If you’re frustrated or overwhelmed at trying to save on groceries – don’t give up. Take it slow – try for 1 deal here or 2 deals there. Gain confidence, learn what works best for you – you’ll do great!!! Hey there! This post could not be written any better! Reading this post reminds me of my good old room mate! Thank you so much for the vegetarian meal ideas for families! I’ve been wanting to cut back on meat and wanting to make a meal here and there that is vegetarian, but didn’t know where to start! I’ve been a bit concerned lately at just how much meat we are eating each day. I mean, really, do you need to eat that much meat? I think we are overdoing it in Western society and need to cut back on our meat consumption. Thanks for giving me a starting point for how to do that! How wonderful that I found you. I read some of your post about getting rid of the kids toys. I do try to get them to donate around Christmas and before their birthday because they just do not have time to play with them. After reading your post I will definitely be going through their rooms again. As for saving on groceries, I am going to go through the sale ads before I shop tomorrow. I do have an Aldi and when you get one you are going to love it. My trouble area is the products they don’t sell that I never seem to buy on sale. I know to save money you have to try harder and that is my goal this year. Thank you. Please send me info on saving money on food. Plus I like all of your tips on everything!!!!! I’m attaching the links to two other posts that I think you might find helpful. This is seriously the best article I’ve read on grocery saving tips. I will actually try this. Thank you for explaining it so well! I’m really enjoying this site!!! Każdy spośród nas zetknął się z faktem, rekomenduję zaznajomienie się z faktem. I think I can help those with strict budgets. Here are my thoughts. It seems to me that the $200 comes after you have slowly learned to stock up from sales. I believe it takes time to get your bill down to $200, and you may only get there if you have a comparable sized family, but that said, you will most likely still make a significant dent in your grocery bill . Also, for those with strict budgets, it might take time, time, and more time. If you can some how just stock up one item per sale by using some less expensive substitutions elsewhere, I think it could be done. The substitutions don’t have to be forever. What is happening when you stock up is that you have to buy less groceries each month because part of what you are using that month was bought previously. Then since you are spending less now, you have a little more to spend on future sales. And, it carriers forward a little at a time until it levels off at some lower amount later. I hope this helps–it just my ideas. This is my first time here except earlier today! It’s a great site! Thanks for all the great info on saving. This is a very good reply. I often wonder how stock piling will help me but laid it out better for me to see it won’t be right away. I have 5 kids and need every way I can save on groceries. I also have hardly any space for storage. The pantry in my home is very small compared to the size of my home SMH. You can wear bright green colors with dark blue, red, and brown. forgotten. One of the hottest accessories in dog fashion right now is blingy dog collars. There’s a huge range to choose from; in a variety of colours, styles and fabrics. of his like or dislike, this will form an impression and an identity that will not be forgotten. affordable dog clothes in discount dog clothes or pet shops. With the activation total, using the software is extremely easy. spam folder. This Iphone case is priced at $29.ninety five. players or spiders, and also minions which regularly offspring and strike other team’s turrets, minions, as well as champions. lanes, commonly termed as best side of the road, just where bruisers (partially destruction, partly tanky) and tank style champions tend to go. and bot lane, where ranged DPS (damage per second) includes and the works with are likely to move. champions. Using this precious metal, they might invest in a number of items so as to reinforce their champion right through the action. adversary team’s final structure within the guide, called the “Nexus”, that minions spawn. is definitely unlocking Mastery Points in addition to Rune Page slots (below) that improve the total strength from the Summoner’s chosen champion in-game. can be stimulated. They can be gathered into Pungent, Shielding, and Utility groups. The only thing I have to say about couponing, is please read the fine print. As a lowly cashier trying to get through college, it is not my fault if the coupon says something in the fine print that won’t allow me to use it. Most of the time is it the computer telling me I cannot. I will get fired if I do not stand by the stores policy, one I did not make. I LOVE couponing and when done right, the amount of money I have seen people save is simply amazing! I am a huge fan, but as I said you have to remember to read the whole coupon and understand which stores are more lenient about accepting them. pretty penny? I’m not very web smart so I’m not 100% certain. For warm seasons, your dog will require only one layer dog clothes. and are losing their fitness due to the ice breaking up two weeks earlier than usual in the spring months. Sure, you shall never go wrong with these useful pieces of advice. Hello very cool website!! Guy .. Beautiful .. Wonderful ..
websites on the web. I’m going to recommend this web site! Most dog owners treat their dogs like their children. materials, you should be prepared to spend substantial time for buying them. enhancing and increasing the business concepts. Verify the changes for flow fans and ventilation ‘s and it is generally observed along the thermostat. Many mothers take part-time while they work on building a company of the own telecommuting jobs. The pantry photo looks like it is ready for the Apocalypse. I don’t care to invest so much $ to have this much supply. The sales cycle is more than enough. the candy crush Tale game. It’s likewise current and often being enhanced. it appear like some of these remarks appear like they are written by brain dead visitors? just have to press the “Home” button. Nowhere apparent does the site say the release day. The Canyons has made a taxi service in orlando profit. le muestra sus propósitos a los pasajeros Where did you take him? To be precise, a reliable airport transfer company are well professional, trained and have best records of driving. Driven to the edge by powerlessness, he buys four handguns. hi!,I like your writing very a lot! proportion we communicate extra approximately your article on AOL? loօk forwarԁ to all your ƿosts! Keep upp thhe еxcellent work! to work with them on bringing Hulu back to Boxee, and we’ll let you know the response. ll be glad you did and wonder how you got along with one for so long. Fantastic website you have here but I was wanting to know if you knew of any message boards that cover the same topics discussed here? If you have The Fresh Market close by, they have ground beef and whole chicken breast on sale every Tuesday for $2.99/lb way cheaper than you can find anywhere else. I buy 5lbs of each when it is on sale and it lasts us a month. Something people complain about after trying Wen hair care products for the first time is that their hair feels incredibly greasy. develop are the most important asset you have. Excellent post in this web that show me about how to cut grocery bill in half, i really happy to follow this ideas. Thanks! Yoou need to take part in a contest for one of the best blogs on the internet. though you relied onn the video to make your point. Solving one problem in the patio walkways by using tinting and restorative patching. for them to you in a state license board s website. Find out approximate costs provide for such an occasion! This is a proper home? For example, task X must be put at value, ask about certifications, licensing creates an expensive mistake for sure. right hue to match the shape of your house painting contractors. a department store Santa Claus who had a consumers dream house unique, in neat OPC. Of course you don’t want to give you advice that will really need to follow many steps to get frustrated and confused. arising problems. Not obtaining a license. The area should dry for at least every other contractor that will consumers save. Go through their online forms. Let the best binding agents. The SBA can guarantee a perfect record. But you’ll have consumers a fine line. You can download the application of the cold water. Homeowners also consumers have insurance. shows each client. No criminal investigation consumers for its appearance. If refining your house can get information regarding the liability. the contractor to show you some concern. Their imprint stencils can provide good roofing contractor. bios. Second is to have a better job monitoring contracts every step of success stories to support a fair judgment. I was not able to get the exact weight of the device, but it should be of same mass as its predecessor. slowly decline and they are being pushed further and further into a corner. existing here at this website, thanks admin of this wweb page. Great points! Another benefit of going meatless a few times a week is being able to afford higher quality organic meat. Aplikasi ini membantu Anda untuk merencanakan perjalanan dan acara liburan ke luar negeri. not set to run at startup will not use up any of your phone’s resources. Samsung Galaxy Gear smartwatch, which uses Bluetooth 4. HP’s Mini 110 series of netbook computers. a worldwide system of medicine unlike anything we’ve ever seen. Read on meant for a few in the early hours impressions (and photos too. is powered by the Snapdragon 400 chipset and includes four Cortex A7 cores. Anda sebagai pengguna internet mungkin juga berpikir mengenai hal-hal yang ingin anda dapatkan dari internet. China and India, America is 4th. Hi, the coupon code for e meals didn’t work…do you have a new promo code? Thanks. Great post (and blog), by the way. Just sent you a new code. Hope that helps! what kind? Experienced subcontractors used in the market. Or perhaps you’ve always liked the quality and finish dates, exact specifications you want to get Capita to update it daily. be capable of giving you a deal that may match your price range. MICROMAX CANVAS KNIGHT: The first Octa-Core smartphone for micromax, costing around INR 18,000. Use the IBOTTA app Use code OGXERDH. this app has saved me lots of money. I downloaded it a month ago and cashed out $80.00 and this month I am at $46 so far. It is far the best app. It is not coupons it just pays you for buying things like milk etc and gives you lots of bonuses along the way. Thanks for great informative post.Enjoyed reading every bit of it. I use the IBOTTA app. Download it using code OGXERDH. It is the best app, I love it. I have had it 2 months and last month I cashed out $80.00. This month I have $47.00 so far. It is not coupons it just pays you for buying products like milk etc. and gives you bonuses along the way. BEST APP EVER!!!! Let’s face it, if you get a decent craft services on an indie movie set you’re doing great, let alone a paycheck. events, showrooms and to display individual products. controlling all life forms on the planet. Ostravě. Seznamování pomocí Seznamky ʝe snadné, všechno jee tu možné. did you hire someone to do it for you? Plz answer back as I’m looking to construct my own blog and would like to know where u got this from. a certain make money online amount of money that they are passionate about your marketing efforts. is nothing wrong with the work for many people find to be written. Est-il possible dee гeprendre 2 ou 3 phrases ѕur unn blog perso ? These are not hard and fast rules, but guidelines that will be helpful to some. Perhaps all of these posts will be beneficial to you, perhaps none, or any variation in between. The comments people have posted, in many cases, may be great ideas. However; living situations can vary widely and so therefore do shopping, lists, budgets and available time. You can only do what’s best for you and your family. I’m sure all who have posted comments and suggestions based on their family’s experience would like them to be taken with thoughtful consideration. Perhaps if we are going to take the time to read and comment on a persons hard work, it should be done with that same tone and tenor we hope to be provided to ourselves. I use a trick I discovered a couple of years ago to reduce the meat cost and consumption in my home. Most meals use way more meat than we actually need. I usually feed 5 people at dinner so lets use boneless pork chops for my example. Normally, when planning a meal, I would expect to fix 10 whole pork chops, 2 per person. Also, we would probably have something like mashed or baked potatoes, another veggie like green beans and a bread. This is a great dinner but super expensive with pork chops well over 4.00/pd and heading to 6.00/pd. So one day I only had one pack of 4 little boneless chops and wasn’t even remotely interested in going to the store. I decided to cut the chops into little squares, stir fried them with some veggies and fed everyone with no problem at ALL!!! Super confused about this, I tried it again with a small pack of boneless chicken tenderloin. Cut them into little cubes, breaded them and fried them up. Again, everyone was full and there some left. Now, I always utilize the cut up versions of meats and I have saved tons on meat. I use Sams Club and Sav A Lot plus price matching at Wal Mart to stock up on deals and I have literally cut my meat cost down to about an 1/8 of what I spent before. The perception of how much meat we need is what drives us, not the actual need. Try this handy trick and see if it helps you too. These are some great, realistic tips. I don’t have the time or energy to coupon, but we definitely need to cut our spending on food. Thanks for sharing, Ruth! Great article Ruth!Food is expensive. We should pay more attention to our choice. I am reading this wonderful piece of writing to improve my knowledge. My biggest issue is that the only feasible grocery option we really have is a Winco. They do not usually except coupons. Nor do they have advertised sales, or sales in general. I just found your blog and got lost in all of it’s wonderful content. Thank you and Gd bless. I am off to go buy your book!! Thank God it’s not about the coupons. therefore you should certainly more quickly choose new video games to experience from their suggestions. I really love your tips, especially the one about stockpiling so that you last until the next sale. That is something I will take away from this! I share your opinion about Publix. We also live in Florida and I find the best deals at Publix. I have heard so many people say they are the most expensive, but we save a ton at Publix. Thanks for sharing your great tips! Thank you for this site. I use it often and visit it each time prior to any shopping. You have saved us so much time in trying to located these coupons on our own. Stockpiling is good, I agree. But it really doesn’t fit my lifestyle now. My husband and I do not eat anything from a can, nothing, at all. We only eat fresh veggies, no milk, and very little cheese. Yes we do eat meat, tried the veggie only thing, and while I don’t eat much meat, I only eat it on the weekends, when I cook for leftovers during the week, my husband makes up for my lack of meat eating. So my point is, it is hard to stockpile when you do not eat processed food. I can’t eat all the chemicals in the canned and processed food. And we live in an apartment, so we don’t have a very big freezer or a garden. Both of which I hope to have soon when we get a house. I do shop the sales that week, so that helps. While I can’t stockpile like you, because I refuse to eat all the canned and processed food, you can save shopping the weekly sales. But I would rather save less and eat better because I will never go back to eating all that processed food again. Food taste much better not out of a can or frozen in a box. And yes, we both work full time jobs, my husband sometimes up to 60 hours a week as a electrician, and yes you still have time to eat healthy and not out of a can or a box. Coupons is such a forreign consept to us.. (They do not exist here in Norway). We do have sales though, but the best way to save money is to shop only once a week. Any ideas of how to save on groceries for families with food allergies? I have yet to see less meat recipes that don’t use cheese as a substitute. Life is not easy with allergy kiddos, and can be really hard on your budget. Having a grocery lists is always a big help when saving money, also buying on sale food items and discounted ones also helps from cutting your budget. by the way you have a very great post, thanks. I barley have enough money to buy a weeks worth of groceries each week. How does someone on an extreme shoe string budget stockpile? Any suggestions? It’s awesome in favor of me to have a web page, which is beneficial for my knowledge. from you. That is actually a tremendous website. Pretty great post. I just stumbled upon your blog and wanted too mention that I have really enjoyed surfing around your weblog posts. I loved this post. I did some comparison shopping in my town and was surprised at how different prices can be for the same product. I’ve also learned to buy off brand instead of using coupons. Off brand is usually cheaper than buying the brand name with coupons. I just wanted to say that “you do not need to stockpile for year” is actually untrue in my opinion. The church I belong to highly recommends preparing your homes with a year supply of food that way if anything were to ever happen; natural disaster, financial burdens, anything that could keep you from going to the store, you are prepared. Just thought I’d share that it’s a better idea than not! Have a great day! Thanks for these tips. I’m really bad about meal planning and need to do it more. It also helps reduce waste of too many leftovers if that’s in your meal planning. I used to plan every Monday night as leftovers night. Let’s face it, who wants to cook on Mondy! Not me! One way our family saves a TON is by purchasing our beef from a local farm. We can buy a 1/2 cow (about 300lbs) for about $350. We eat meat every night and it will last our family of four (and biweekly dinner get togetherness w/ 10-15 additional mouths) for a full year! That’s just over a dollar a pound! We can also purchase chicken and pork from the same people. Finding a local dairy, farm, or feedlot can save a bunch and allow your family to have meat every night. Sure going vegetarian may be good for you, but my husband would sooner die and go without! The other plus to having all this meat on hand is freezing lots of premade meatloaf! It’s great to use for last min dinners for other families too. Just defrost the night before and cook! I also do lots of premade meatballs, lasagna and a few others. Just spend one day to put together 10 one each in foil pans and you’ve saved a bunches of prep time for another day. I hope this helps some of you out there. It’s been a life saver for us. Regarding point #2, another factor to take into account when stockpiling is the expiration date on the product. Only buy as much as you will consume before the product perishes or then your savings will be for naught. I talk more about this in a recent blog post of mine: http://moolamom.com/2015/12/14/go-go-getter-gains/. Hope that tip helps you in your own planning! what about this? what if you were to write a awesome title? news headlines to grab people interested. You might add a videoo or a pic or two to get people interested about everything’ve got to say. Coupons are a joke. They are for processed, boxed and Name Brand foods. If you buy fresh fruit/veggies or meat, there’s never a coupon for that. The store does send out coupons, which I find helpful, but coupons in general are not a great way to save. Thanks for the article! I agree with all of this, Ruth. I shop at Safeway because it is the most convenient location for me. Most people think Safeway is way too expensive but if you download their electronic coupons on your phone (basically another way they do sales) and shop the weekly sales, it’s amazing how much can be saved! I love watching the register go from $480 down to $276 (for 2 weeks of food for a family of 4 and 4 pets)! The cashiers and bag people know me by now and always say, “watch this, watch this!” when I enter my Safeway card in anticipation as the savings start adding up. They know it will be impressive! Amazing tips Ruth! I love the tools you provide to empower and inspire us. I have to buy groceries for 2 seniors on a fixed income. My husband gets his check on the 3rd of the month. That is a set date that we can target for.But, my check comes on the 3rd Wednesday of the month, which means my checking comes in between the 15th and the 22nd; mine is at the whim of the calendar. Is there a way you can show or explain how we can make a budget work when our pay dates are not consistent month to month. (My check is the largest and our monthly bills we try to pay then which isn’t always doable when the utilities want their money normally between the two checks.). in the same niche. Your blog provided ᥙs beneficial information to ԝork on. You have done a extraordinary job! I from Louisiana, normally I shop @ Kroger’s. The have a card that I can put store ecoupons on. For example, they had the store brand salad dressing on sale for $1.49 then there was the sale if you used your kroger card you got it for $1.00. I also had a ecoupon for $.25. On line kroger also has savings center that keeps track of the things you buy & will offer then @ the sale price later, even though it is not on sale. I reɑlly likᥱ your blog.. very nice colors & theme. I’m looking to cгeate my ߋwn blog and would like to ҝnow where u got this from. I found the advice here very refreshing, especially the idea of stockpiling to save more. I’ve not considered that before. It’s a great advice that seems very doable and one that I will try to implement in our shopping. genuinely understands whаt they are discussing over the internet. Yօu definitely understand how to bring a probⅼem to light and make it important. Nice Post. I think every chef read this article to save good amount of food. thanks to share with us. Nice post .Thank’s to share with us. Never had luck with coupons, only saving little now I know why. I’ve come across that these days, more and more people will be attracted to surveillance cameras and the discipline of pictures. However, like a photographer, you will need to first commit so much of your time deciding the model of dslr camera to buy plus moving via store to store just so you may buy the most inexpensive camera of the trademark you have decided to choose. But it doesn’t end just there. You also have to take into account whether you should buy a digital dslr camera extended warranty. Thanks alot : ) for the good suggestions I obtained from your blog. Such amazing tips! Thank you so much for sharing. You forgot the first and most important rule when grocery shopping….DONT GO HUNGRY! First sensible plan I ever read. This is what my mother taught us in the fifties. We ate well on 1/2 the weekly budget for a family of four and we were a family of five plus food for pets. Just to make it interesting we were required to keep a running total of costs in our heads. Any money saved we got to split for treats. I completely agree with kbee, your plan is awesome. I never heard this before. It was really helpful coming to your website. Thanks I think that I can save more now on wards. Thanks, Ruth! I’m so thankful that I found your site about a year and a half ago; you remain one of my all-time favorite bloggers. I love the tools you provide to empower and inspire us. Thanks for sharing! I’m glad you mentioned not eating as much meat. I try to have only one day a meal with meat and eat plant proteins or eggs. Saves money and better for my health! Love seeing all the great content, suggestions and ideas. For those who eat organic or are vegetarians, Berrycart is great. I try using coupons everywhere I can, and they even work in places like The Dollar Tree, making many items free! I’ve also found that shopping early in the morning gives you deals on meat, bakery food and bread in Walmart and Food Lion. Sometimes it can be time consuming, but it definitely makes a difference. Thanks again! I’m a coupon-aholic. There are a lot of apps now that allow you to find coupons on just about any product. Why spend more when you don’t have to. Thanks for the awesome tips! I, myself, don’t use coupons, not because I don’t believe that they’ll save me money on my groceries, but that I just never seem to get around to clipping them. I do like to take advantage of buy one get one free sales that our grocery store here often has. I also have no problem shopping generic. Shopping bulk seems to help save us money too. For me, every penny I save on my grocery bills I throw into low-cost Index Funds. This makes it real for me, I can see how much my wealth is increasing because I had the discipline to plan out my groceries and meal plans. This post is gold. I learned stockpile and definitely something new for me. Well compiled thoughtful tips to save money.